Sassy little number. 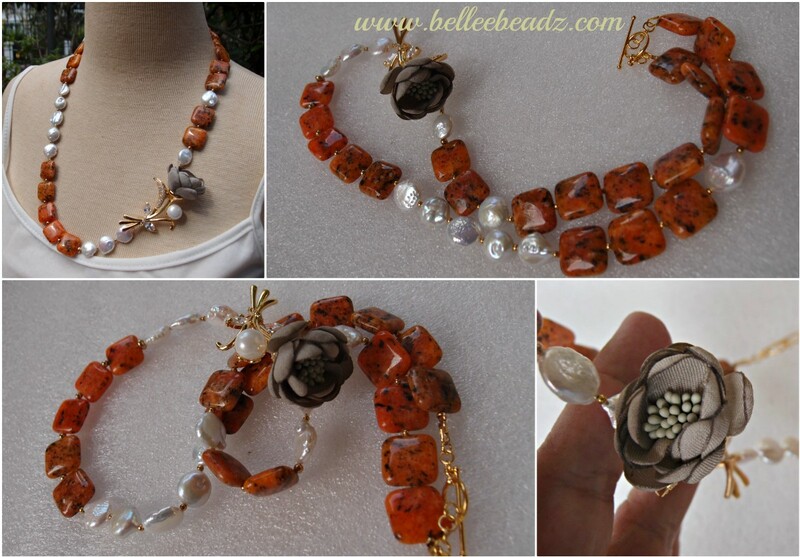 Orange spot jasper measuring 16mm x 16mm, freshwater pearl coins measuring 13mm with gorgeous lustre. I love sourcing for different beads/connector/embellishments just to add a little more interesting details to my work, and here I've used a lovely flower connector combining pave encrusted leaves, shell pearl and a handmade taffeta flower.